I am not a big fan of the science fiction or the fantasy genre except when mixed with middle grade books. There used to be a time when I would read these books having my boys in the back of my mind wondering if it would be something they would enjoy. Now I am thinking grandchildren and with Aoleon it gets a resounding yes. Today I am looking at the first of five installments in this series. It is a wonderful introduction to Gilbert and the Martian girl. This wasn't a serious story, but fun, interesting and rather quirky. Not a long read, only 94 pages, which is perfect for the age, enough to keep ones attention all the way through and at its conclusion wanting to grab book 2. You can read the synopsis above to get the plot details and realize the adventures and mishaps taking place here. Gilbert is a likeable kid, a typical boy looking for adventure, he is witty and quite the character. 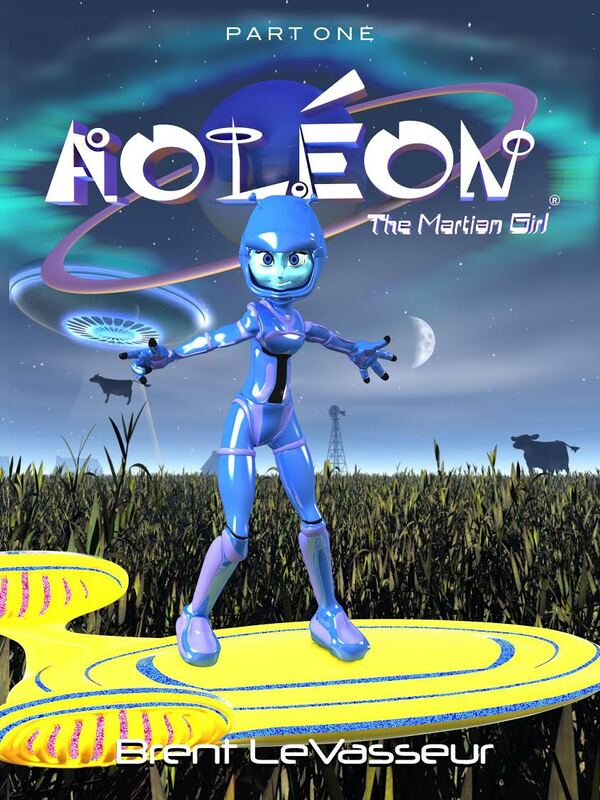 Add the Martian Girl and things get real interesting. The illustrations throughout the book added a lot to the story, reaffirming what is written with nice visuals that matched the scenes depicted. The pictures are bright and vibrant, very eye catching. Gilbert and the Martian girl were portrayed in ways that fit their character perfectly. 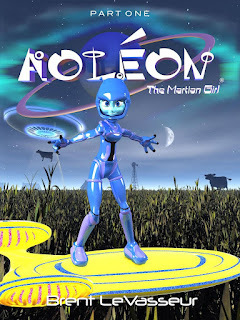 Aoleon - The Martian Girl is a great start to this series which will appeal to boys and girls, young and not so young also.